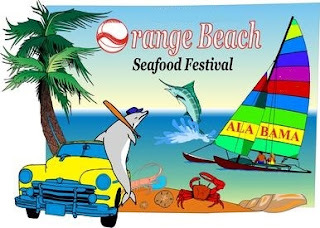 The Annual Orange Beach Seafood Festival and Car Show on the Alabama Gulf Coast is a major fundraiser for the Orange Beach Sports Association, helping to support sports-related activities in the community; more specifically - youth baseball, softball and T-Ball. Proceeds from this popular event, to be held at The Wharf, are used to purchase uniforms, equipment, insurance, and pay for expenses of officials and to provide clinics. The Orange Beach Seafood Festival is a full day and includes local delicious food, 80 arts and crafts vendors, military memorabilia and music for the whole family to attend and enjoy. This is a family activity, no-alcoholic beverages are permitted. The festival will also include a silent auction, car show featuring antique, classic and hot rod vehicles, a Kids Zone that includes a climbing wall, inflatables and games and a children's performance pavilion with numerous activities.